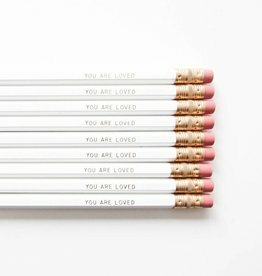 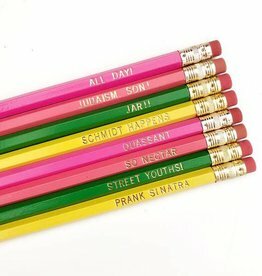 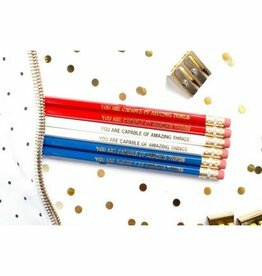 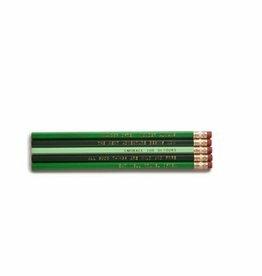 Set of 9 white pencils, with "You Are Loved" written in gold. 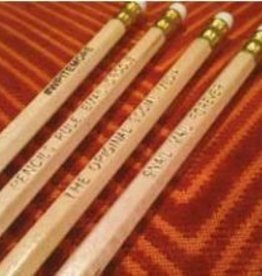 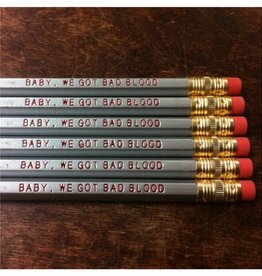 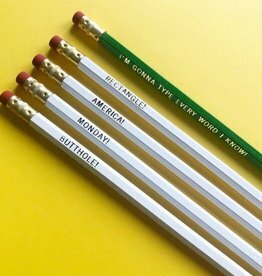 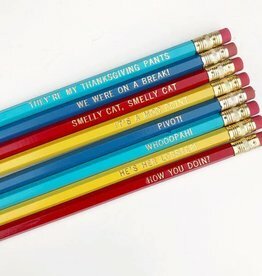 Set of 6 Silver, unsharpened, #2, wood cased pencils printed in Red with: "Baby, We Got Bad Blood. 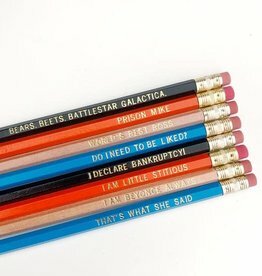 "Best used sharp. 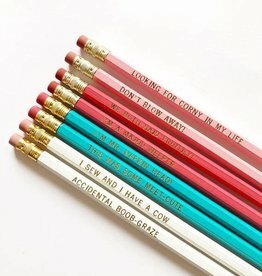 Pick these up anytime inspiration strikes! 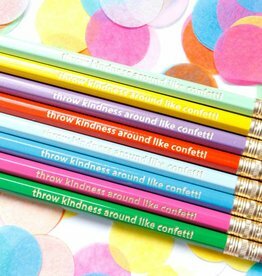 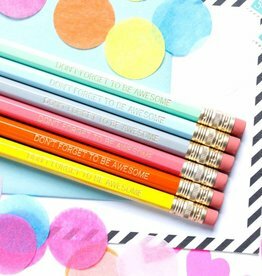 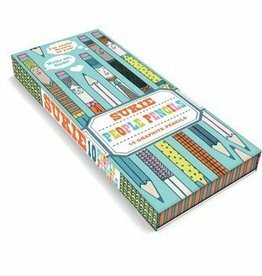 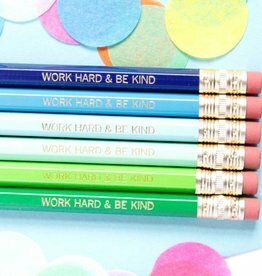 This set of stylishly designed colored pencils is sure to unleash the imagination of any coloring book fan. 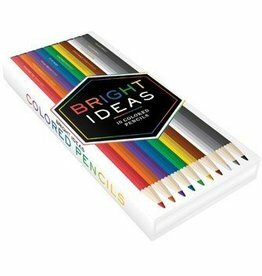 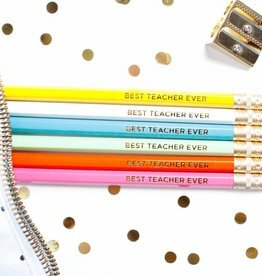 With rich, smooth, and brilliant color—perfect for shading and blending—these pencils will add pizzazz to any creative project. 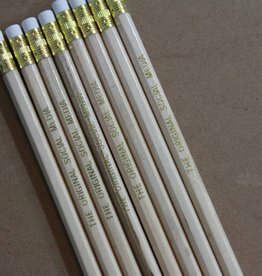 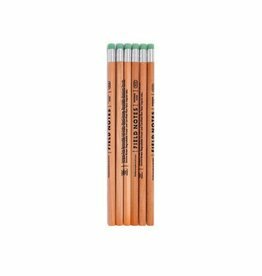 Each of these ten eraser-topped graphite pencils is illustrated to look like a different character, making for a phenomenally friendly set of writing companions. 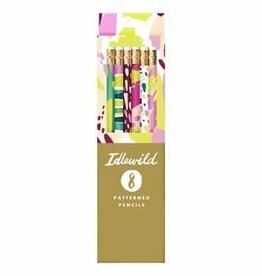 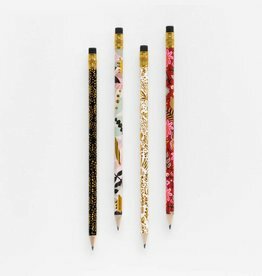 Katie Gastley, of Idlewild Co., has lent her hand-painted designs to many reputable brands, and her stationery line can be found in stores across the U.S. 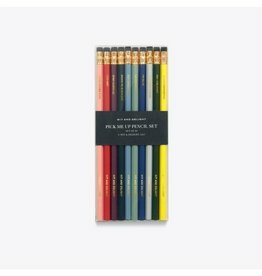 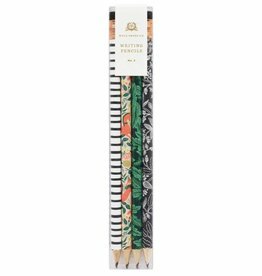 This pre-sharpened Modernist writing pencil set includes a total of 12 pencils, 3 of each design. 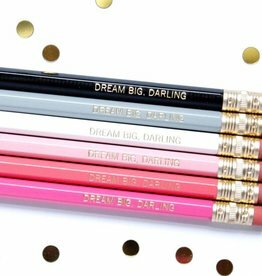 Metallic gold details throughout bring some shine to morning crosswords and pop quizzes.